Age-appropriate: As your child grows, choose a toy that is suitable for age (to avoid being too difficult or too easy) to attract children's interest. Safety: Children's self-control and judgment are weak, and it is not easy to distinguish between dangers. Therefore, it is very important to purchase toys with safety signs. Educational: Children can learn something from toys, such as numbers, directions, words, and so on. Diversity: Toys have more than one function, are versatile, and can be flexibly changed, which will stimulate the child's potential development. 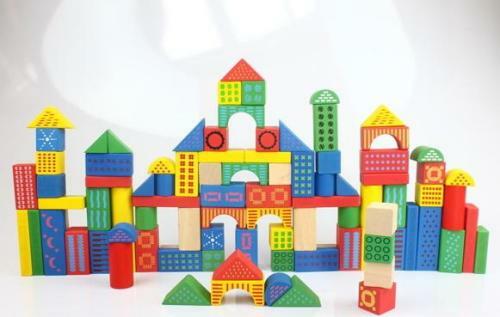 Creativity: Children can inspire ideas from toys, such as jigsaw puzzles, building blocks, and combination toys. Interest: The color, shape, trend, novelty, etc. of the toy can cause the child's learning motivation. 1. The color of the toy should be bright. The perception of young children is not as perfect and mature as adults, so often the most vivid and prominent colors are the first to draw their attention. For example, a red flower in a green plexus tends to attract them more than a white flower in gray. Therefore, the color of children's toys should be bright and prominent, and they can attract their attention from the beginning. 2. Children's toys should be vivid. The purpose of giving toys to children is to let them indirectly understand nature, understand society and develop their thinking ability. If the image of the toy is too far from the objective things in the real world, it will teach the child a wrong knowledge and concept. 3. Children's toys must have an analog sound. Many developed countries attach great importance to the analog sound of children's toys. Manufacturers often use advanced technology to install a sound that matches the shape of the toy, resulting in good results. 4. Children's toys should be safe and reliable. Some toys are very dangerous when they are shipped from the factory. It is not an edge like a blade, but a sharp point like a cone. If you don't pay attention, it will hurt your child. There are many reasons for this, but the most important one is that there is not enough awareness of children's toys. Therefore, parents must put safety first in the purchase of toys for their children. 5. Children's toys should be resistant to hitting and sturdy. Both parents and manufacturers should start from the characteristics of young children, carefully purchase and manufacture toys with the level of the times, so that they are resistant to hits. 6. Children's toys should be light. General toys are made of light plastic, thin white iron, light wood, flannel, etc. This is in line with the characteristics of young children. Children's strength is weak, and they can't hold too heavy toys, so you should buy a light toy.